To enhance Bunkers Hill, Castlewellan, to create a place that the local community would utilise and spend time. 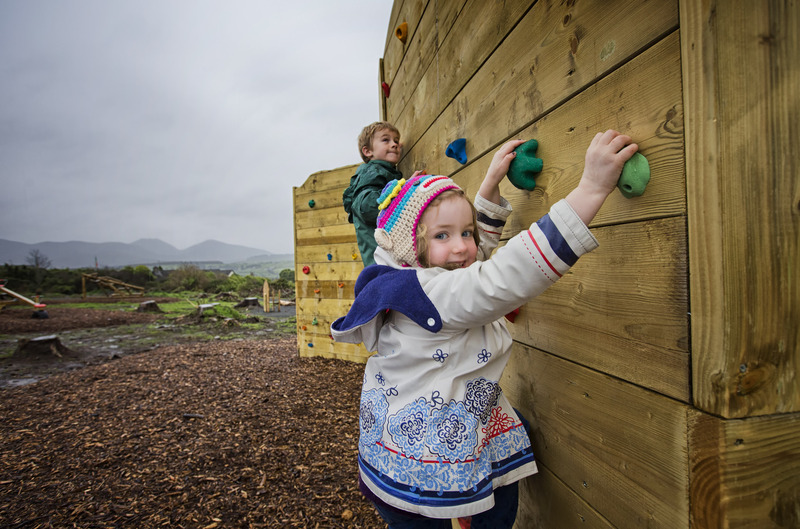 The multi-use trail and play trail were developed and completed in 2014 at Bunkers Hill, Castlewellan. Designed for walkers and family cyclists, the trail takes in the glorious views of Dundrum Bay, Slieve Croob and the Mourne Mountains. The Play Trail was designed for children aged 4-11 years containing 11 bespoke timber items including a climbing wall, basket swings, teppee village and story teller’s chair. Enhancements to the access lane and installation of the new disabled car parking was completed in March 2016.